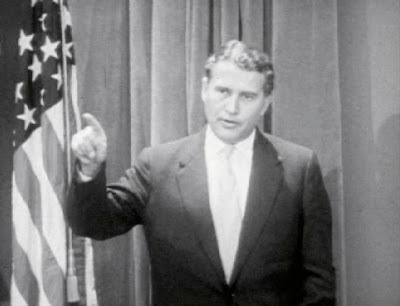 Wernher von Braun begins the film Challenge of Outer Space by saying, "The conquest of outer space is the greatest technological challenge of the age in which we live." Even before a manned mission to the moon the nation's top space scientists were speculating about what space stations would look like. I find it difficult to mentally put myself in an era when space exploration had not yet occurred, but films like this help a great deal. 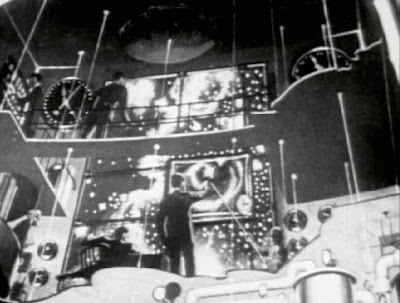 The torodial space colony is featured heavily in the film and is a favorite among those depicting space stations of the future. Above is a short clip of the 30 minute film and I hope to explore Challenges of Outer Space in depth as more information about this paleo-futuristic wonder becomes available. There is very little information about Challenge of Outer Space on the web, including the year. Any additional information you may have about this film is much appreciated. It was available on DVD, here's the link. Got it, it's just fabulous. 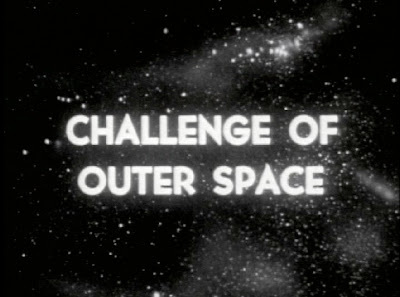 Thanks for the comment but that DVD doesn't have "Challenge of Outer Space." 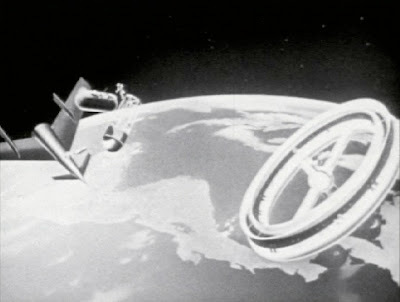 It does however have some great Disney broadcasts about the future of space travel. I appreciate the iconic look of the Collier illustrations as well as the Disney versions of this concept of the future ... yet somehow I cannot forget that the person who dreamed it, von Braun, was a vicious war criminal who should have been hanged for his crimes. I think we should contemplate the way Disney and the Establishment of the 1950s military-industrial complex excused von Braun's crimes against humanity and worked to obfuscate, if not ignore, the murders of British civilians for which he was responsible. In an ironic way, this process is similar to the way von Braun worked. He was willing to whore himself to Nazis in order to achieve personal success; we were willing to excuse his barbarity for the sake of intercontinental ballistic missiles. Wow, this is great, thanks! I'm curious as to how you came upon the clip in the first place. This seems to be the only website I've come across with any information on the film. I'd love to learn more. Himmler: Herr von Braun, you will build rockets for the Reich. You will use whatever resources you need to build rockets for the Reich. Or we will kill you as a traitor to the Reich." I's sure that the fellow accusing von Braun as a war criminal would have chosen death for himself and his family if given such an ultimatum. Next time, use your real name, instead of hiding behind "anonymous:.